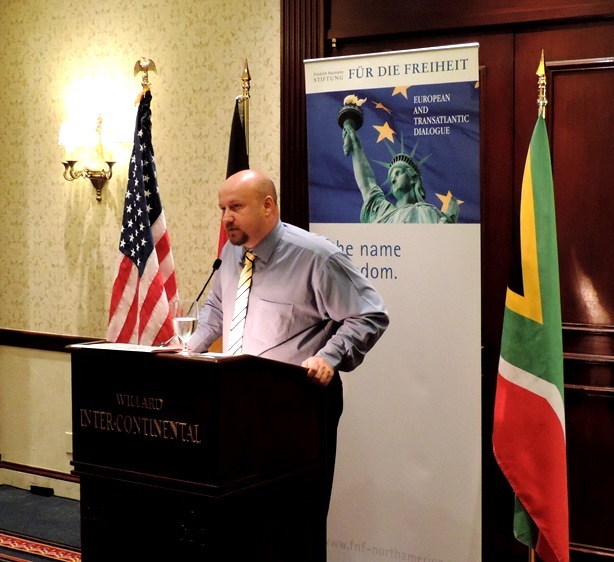 In May 2015, Dr. Frans Cronje, the Chief Executive Officer of the South African Institute for Race Relations, joined the Transatlantic Dialogue Program for a discussion on the current socio-economic challenges facing South Africa. Dr. Cronje focused in particular on South Africa’s rejection of western policies, highlighting the geo-political implications for U.S. interests in the region and the danger this poses to South Africa’s democratic institutions and economic growth. Since 2007, South Africa’s economic policies have been largely influenced by a group of hardline communists who hope to isolate the nation from the global economy, in an effort to cripple private-sector institutions and increase anti-Western sentiment. During the discussion, Dr. Cronje highlighted a series of restrictive bills that have been introduced in recent years that align with these communist policy objectives. In the last three years, South Africa has seen the introduction of legislation that would impose price and export controls on minerals and petroleum; require foreign-owned security companies to have 51 percent South African ownership; and allow the State to acquire commercial property without compensating the owner, in addition other bills and proposals that seek to increase State control over individuals and businesses, particularly those with foreign connections. Dr. Cronje pointed to a number of economic indicators – debt levels that have nearly doubled in the last 10 years, high unemployment, near stagnant growth rates, and low graduation rates – to underline the negative consequences of political thinking that limits economic and institutional freedom. He stressed that the implications of this line of policy thinking are not purely economic, but are also eroding some of the fundamental rights and freedoms guaranteed by South Africa’s constitution. 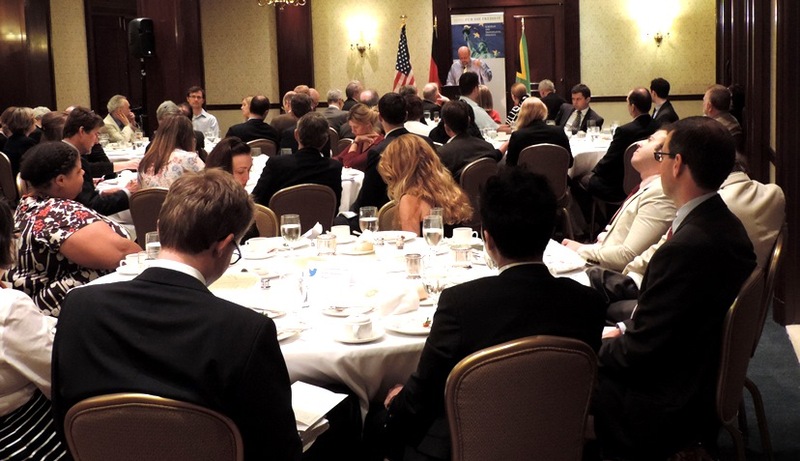 In the discussion, Dr. Cronje emphasized that South Africa’s current policy trajectory could have a severe negative effect on geo-political Western interests in Africa as a number of nations in the region transition to high-growth economies and become strategic security partners of Western nations. The U.S. government may be faced with high strategic and economic costs if Western influence in the country continues to decline in the coming years. Dr. Cronje concluded the discussion by emphasizing that these communist policies can be reversed through two channels of resolution: first, members of the government and the African National Congress (South Africa’s ruling party) must actively support reformers by encouraging a political climate conducive to constructive discussion and policy reform. Second, the political and economic freedoms desired by South Africa’s citizens in the wake of the country’s 1994 transition to democracy must be recognized and delivered by the government. Only then will South Africa be able to transition away from State-controlled isolationist economic policies and towards a prosperous, globalized economy that fosters a mutually beneficial relationship with the West. Find Dr. Cronje’s full remarks here.